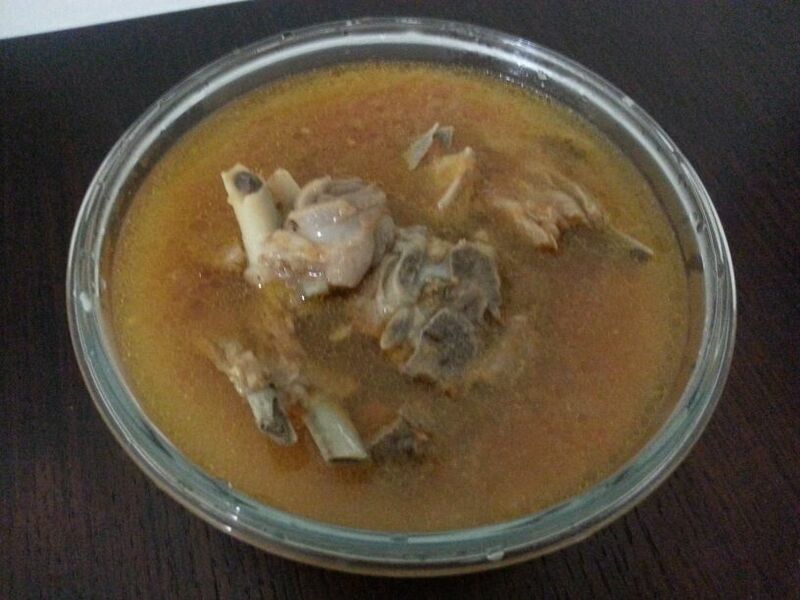 This is an Arabic version of the Maragh and it is very easily prepared with very few ingredients. No oil is used to prepare this recipe. It tastes really good as a soup or as an accompaniment to Rice or any type of Indian Bread. The meat is very well cooked and completely tender. I make this very often especially with Naan and we enjoy it to the fullest. 1. Wash and clean the mutton well. Drain all the water. 2. In a pressure cooker add the mutton, Onion, tomatoes, pepper corns, pepper powder, salt and water to cover 3-4 inches above the mutton. 3. Pressure cook for 30 minutes on medium flame. 4. Adjust water, salt and pepper as required. I will soon post coffee ice cream also dear..
We just love mutton soup and this is a delicious arabic version. Wonder if the strong smell of the mutton pieces reminded in the soup? I need lots of garlic, ginger and turmeric powder to remove the strong odor of the meat. To each their own Navaneetham. This soup has no smell whatsoever and was tasty. Filling and tasty soup,looks so good,thanks for sharing.